Chile’s Fiestas Patrias are upon us. These are the annual celebrations of all things Chilean. 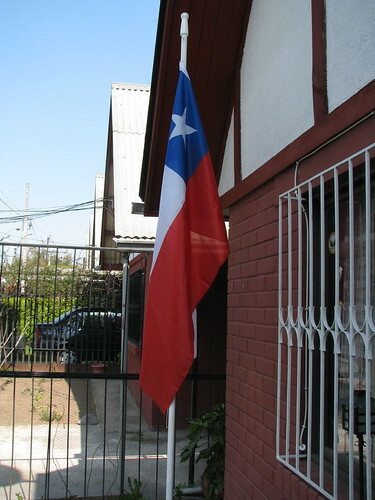 For the entire week around September 18th, Chileans across the country party and celebrate their country. There are many traditional activities that happen during the Fiestas Patrias. Perhaps you have some favorites. 1. Eat an empanada. Here’s an easy cheese empanada recipe. 2. Dance la Cueca, Chile’s national dance, although I’ll admit I have to be retaught every time! 5. Go to a fonda / ramada. 7. Fly a hand-made kite. 8. Play a traditional Chilean game like Rayuela. 9. 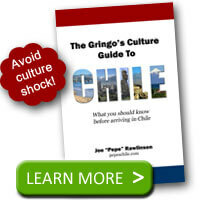 Sing Chile’s national anthem or the unofficial national anthem “Si vas para Chile”. 10. Try and count the nearly infinite number of Chilean flags I see flying everywhere. 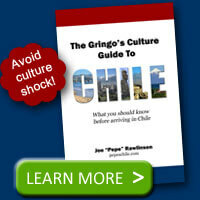 What is your favorite thing to do to celebrate Chile’s Fiestas Patrias? I think you’ve named them all. We were wondering if you knew of any fiestas patrias celebrations happening in Salt Lake/Provo area this weekend. We’ve gone to the one at the Cultural Celebration center in West Valley but their lines have gotten too long. @John – enjoy the celebrations! Viva Chile!